No worries of nighttime accidents with Wiki Wags Wraps! Meet Greyson. Wiki Wags™ Disposables’ Cutest Model! MALE DOG MARKING and INCONTINENCE SOLUTIONS ARE HERE TO STAY. We "bring harmony back into the home" with our Disposable Male Dog Diaper Wraps & Super-Wik Piddle Pads. Wiki Wags brand is the original male dog diaper! Did I mention, we are the home of the “original” Male Dog Diaper? 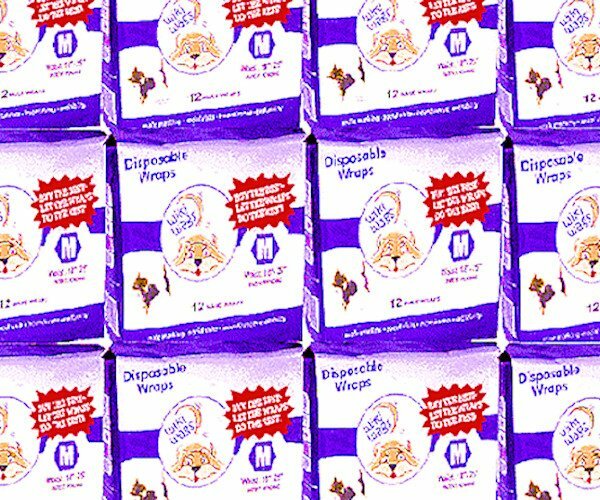 From marking to Incontinence Solutions, our Wiki Wags™ brand is a dependable product with a Registered Trademark and is a Design Patented dog diaper wrap. Our male dog wraps are super efficient wicking the urine away from the body of the dog! 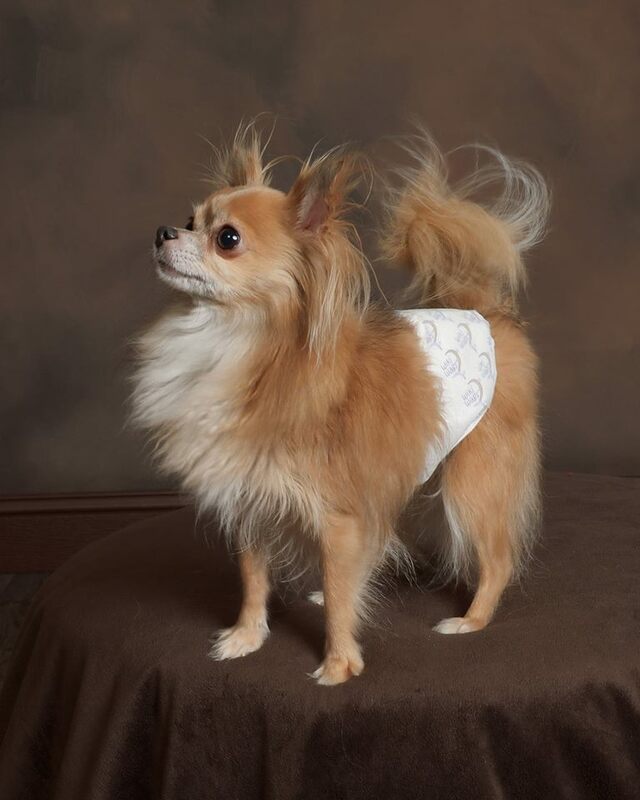 They are made for extra absorbency with our Advanced “Lock-In” Technology which keeps the dog’s body dry and comfortable. Male Dog Marking Incontinence Solutions are great for those dogs who just can’t seem to resist lifting their leg! The wraps are made to be worn around the waist only and are extremely easy to get used to wearing. Many enjoy wearing the dog diaper because of the freedom they gain and the level of stress that is reduced in the household. Whether your dog is a youngster or a senior, you and he both will enjoy new freedom without the mess. 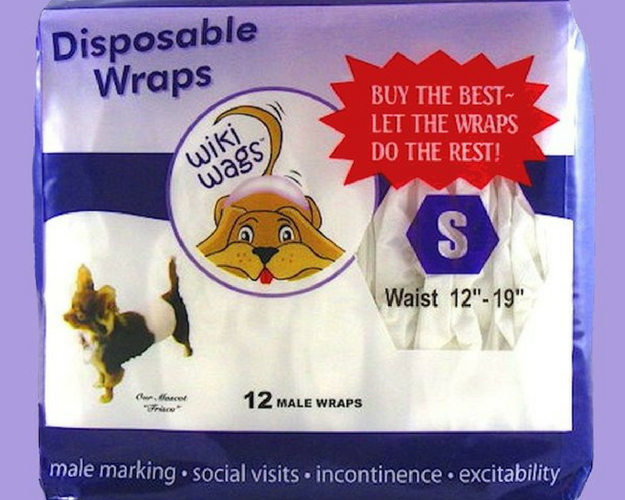 Wiki Wags™ Brand Disposable Male Dog Wraps hold an enormous amount of liquid that stays locked away from the dog’s body. This special feature leaves the hair dry and odor free. Try for yourself and see the difference when your home returns to normal without all the burdensome clean-up, the expense of cleaners that only do half the job or worse the cost of replacing furniture, carpets and drapery. Don't cover up the bad habit when company comes; put on a Wiki Wags™ Brand Disposable Male Dog Diaper Wrap and get back to entertaining. Wiki Wags™ Brand Disposable Male Dog Diaper Wraps Are A Big Hit! Purchase Yours Today! 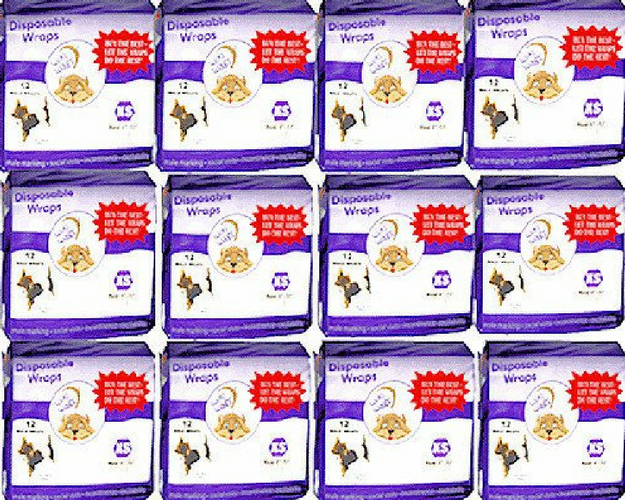 Check Out Wiki Wags™ Brand Disposable Male Dog Diaper Wraps Newest TV Ad! 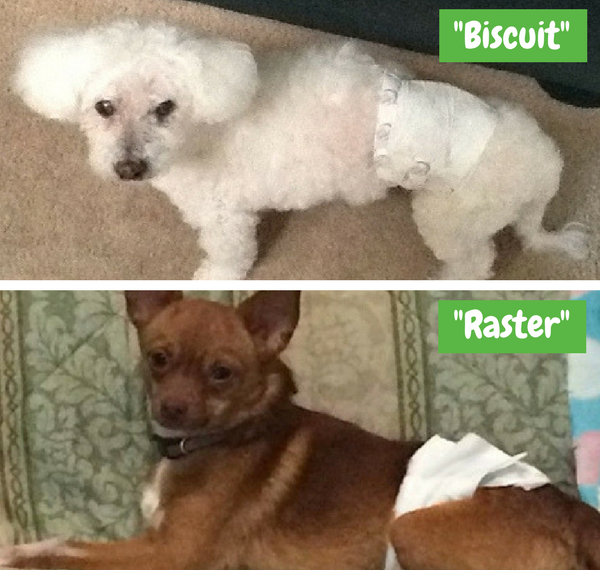 Meet Some Of Our Happy Wiki Wags™ Brand Disposable Male Dog Diaper Wraps Customers! Show off your pet and have them featured on our site! Post a photo of him wearing his Wiki Wags™ Brand Disposable Male Dog Diaper Wraps on Facebook and/or tag us on your pic on Instagram. 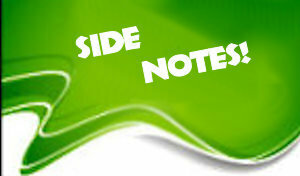 What’s Being Said About Wiki Wags™ Brand Disposable Male Dog Diaper Wraps? I'm writing to thank you on behalf of my son Chris. "Well I'm a believer...I've used Belly Belts and Kotex pads for 10 years and a friend showed me the Wiki Wags pads...my little Papillon and myself are thrilled. Ordering me a boat load! He wears em 24/7. He was a puppy mill dog and has never forgotten...but he is a loving little guy and we will do anything for this guy. Thanks for this." Did your dog wet on YOUR bed? Did he stain your carpets or furniture? Thought that was the end for both of you? Hold on, we're here to HELP! Get the best solution with Wiki Wags™ brand Disposable Male Dog Diaper Wraps and enjoy a good night's sleep...and your pet once again. Order today! You don’t want to run out!.